As I walk through the field, I observe the insect populations, the soil condition, and the health of field. I notice the plants that seem to be stronger, more beautiful, or more resilient than the others and carefully make note of them. Each plant is cared for with a loving hand and a thoughtful mind, because the field is not only filled with food for the season, it is filled with seeds. Seeds that will grow food for future generations. We are in the midst of an eat local, know your farmer movement, so the following question may seem quite redundant: where does our food come from? But I’m not asking if it came from a big conventional farm, or a sustainable farm, or if you know the farmer, or if you are the farmer. I’m asking where our food is coming from on an even more literal, primal level, and the answer is quite simple: Seeds. Our food comes from seeds. The discussion gets interesting with this next question, where do the seeds come from? Now it may seem that I am heading toward the philosophical debate much like whether the chicken came first or the egg, but that’s not my intention. 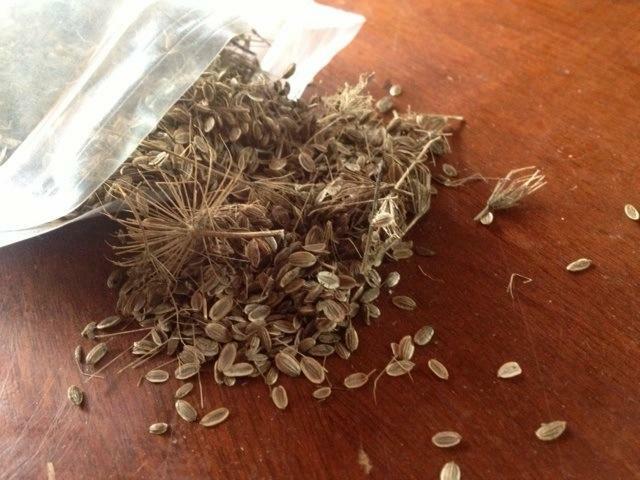 My intention is to take a step back and understand the art of seed saving, an ancient practice that farmers and gardeners once depended upon for their food supply. Once upon a time, the only way to obtain vegetable seeds was to know someone who was saving seed from their own field. Neighbors would gather around for seed swaps where they could trade seeds or mix together seeds from a certain crop to increase genetic diversity. The varieties were immense and the risk was high—if the seeds were not saved properly that particular variety would be lost forever. Seed saving is an art. It takes patience, an observant eye, knowledge of how the plant reproduces, and extra space because in most cases the gardener has to choose whether to eat the vegetable or save the vegetable’s seed. 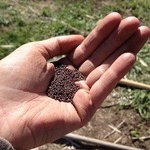 Because saving seed takes extra time and space most conventional farmers choose not to practice the art of seed saving. From a business perspective, it becomes much more efficient to focus on either saving seed and selling it or producing food. Compared to the days when seed saving was the norm, it is now much more common to buy seed packets from a big chain store, or catalog, which are supplied from large scale seed producers. And in this way, large corporations direct our food supply because they supply the seed. Whatever they choose to offer is what is available to grow. Nowadays not much thought is given to the origin of the seed. And it is through this mechanized convenience that the ancient art of seed saving is being lost. 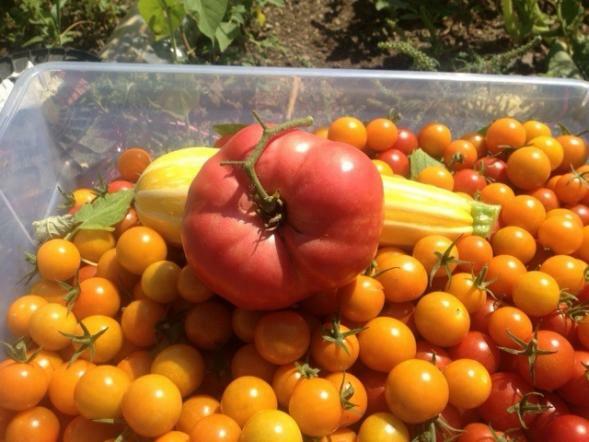 When farmers and gardeners save their own seed they are doing several wonderful things all at once. Because they take seeds from the best of each year’s crop, they slowly breed plants that are minutely tuned to their particular land and their particular taste. They are selecting crops that show a valued characteristic like heat tolerance, insect resistance, great flavor, or uniform size. They are selecting crops that do well in their specific location. They are able to grow varieties that are not offered in catalogs. And to top that all off, they are creating a sustainable loop where the farm can provide for itself independently from any outside sources. Over time, the farmer and gardener that save their own seed end up with a crop that has valuable characteristics and that is suited for their specific plot of land. With such great benefits why don’t more farmers save seed? Simply put, they don’t have to. They can conveniently order uniform seeds from a seed company. And less risk equates with higher profits. I’m not condemning the farmers and gardeners that don’t save seed. I also enjoy the convenience of seed catalogs on my own farm. But I also see a low-risk opportunity to experiment with saving seed knowing that if it fails there is a place where I can buy more seeds to try again. The advice I was given from Susan, the Farm Manager at Calypso Farm & Ecology Center (Fairbanks, AK) was to focus on saving seed from one or two crops each year, one simple and one complex. A simple crop is one that produces seed in one life cycle and that isn’t likely to cross-pollinate with other crops in the same field. A complex crop is one that may take two seasons to produce its seed, or that is likely to cross-pollinate with other crops is the field. Cross pollination often results in a crop that no longer resembles the parent crop. Rutabaga seedsThis year I have saved seed from dill, cilantro (coriander), radishes, and heirloom tomatoes. Herbs can be a simple place to start for several reasons; 1) they can be enjoyed before they go to seed, 2) they go to seed very easily on their own, and 3) it is unlikely that something else is growing in the garden for cross-pollination to occur. 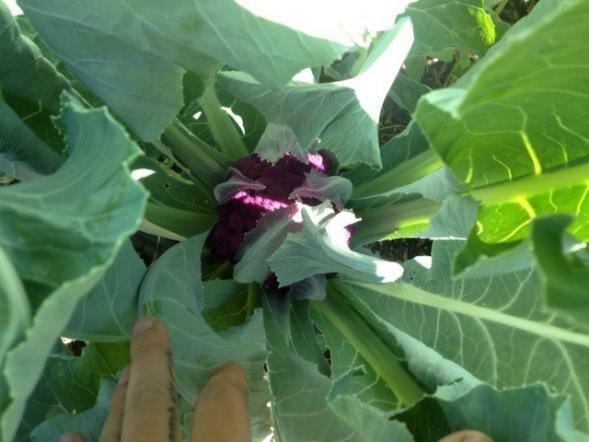 The complex vegetable I am attempting to save seed from this year is purple cauliflower. The seed is expensive so I thought it would be great to have my own seed supply. I noticed that one of the plants produced a lovely purple head months before any of the others. Instead of harvesting it, I decided that it had a favorable quality – early production— and that it would be worthwhile to save its seed. Cauliflower is a biennial, which means that it won’t produce seeds until it’s second year of life. The tricky part will be to keep the plant alive through the winter so that it has the chance to produce seeds next season. As we continue to navigate towards a more sustainable food system, let us take a moment to appreciate the loving hands and thoughtful minds that can see beyond the food of today, and into the value of the seeds of tomorrow. For the health of our food lies in the health and diversity of our seeds. Note: Seed Savers Exchange (SSE) is a hub for seed savers (beginner and expert) and is an excellent resource for seed saving. They have a catalog filled with names of seed savers organized by state. This is a great way to buy seeds that do well in your specific region and rare varieties directly from farmers and gardeners across the country. Stephanie Stillman lives an Ayurvedic lifestyle where meditation, yoga, and ayurvedic cooking have become daily practice. Stephanie’s path toward sustainable living and self exploration all by asking: where is my food coming from? 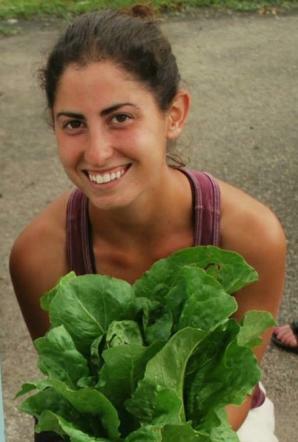 The question guided her to an urban farming program in Berkeley, a farmer training program in Alaska, and wwoofing on a farm in Kauai. Last summer, Stephanie returned to Minnesota and began a sustainable vegetable farm, Muddy Feet Farm, where all the work is done by hand and natural diversity is encouraged. Stephanie is currently studying for a Yoga and Ayurveda teacher training that will happen this Spring. This is her first article for SGT.